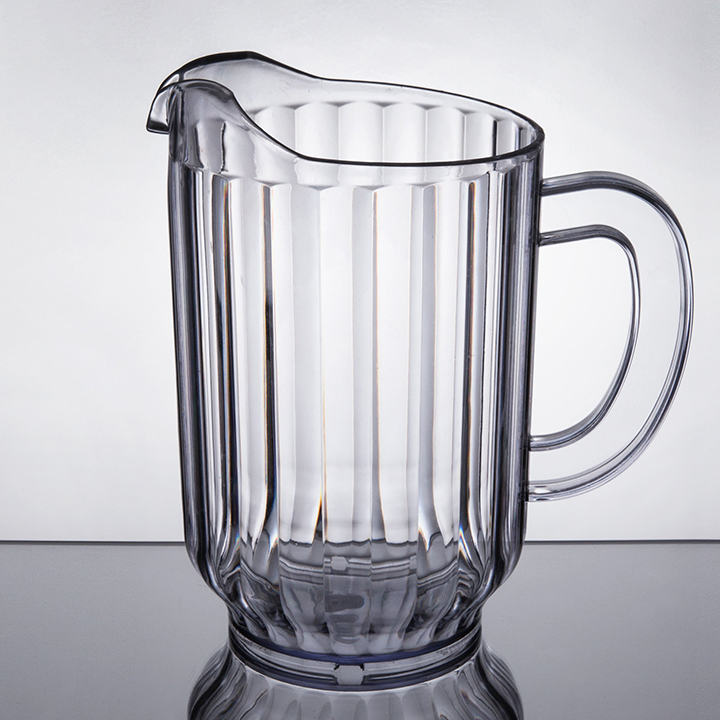 Dimensions 8.25" H x 5" Top diam. 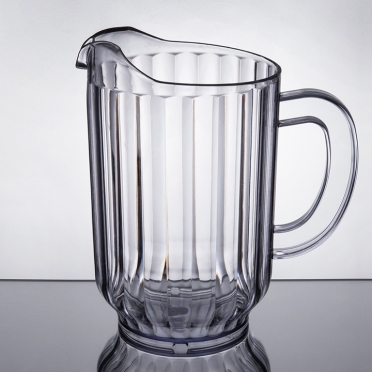 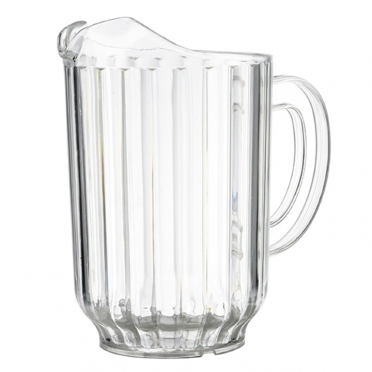 When you need a pitcher that will not break or shatter, this plastic item is ideal. 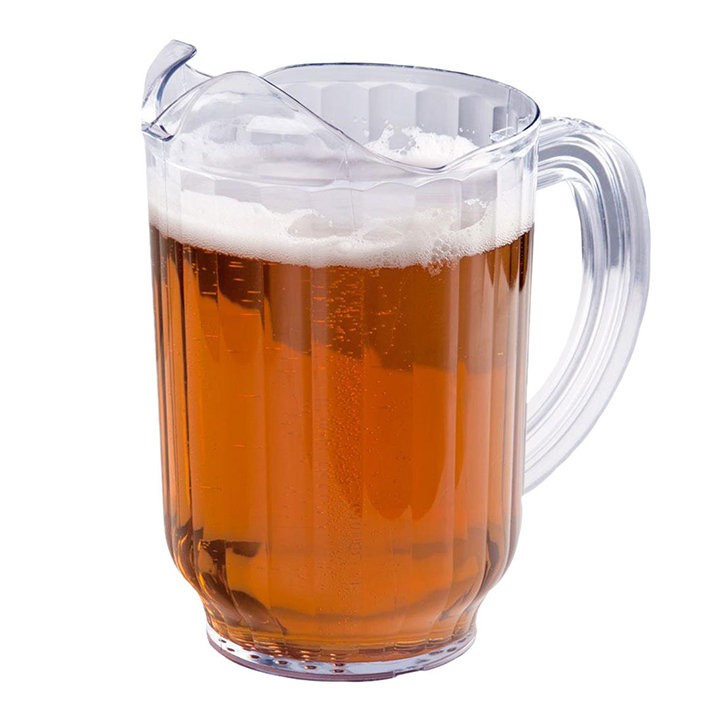 The ergonomic design makes it simple to handle, and the convenient pour spout will keep spills to a minimum. 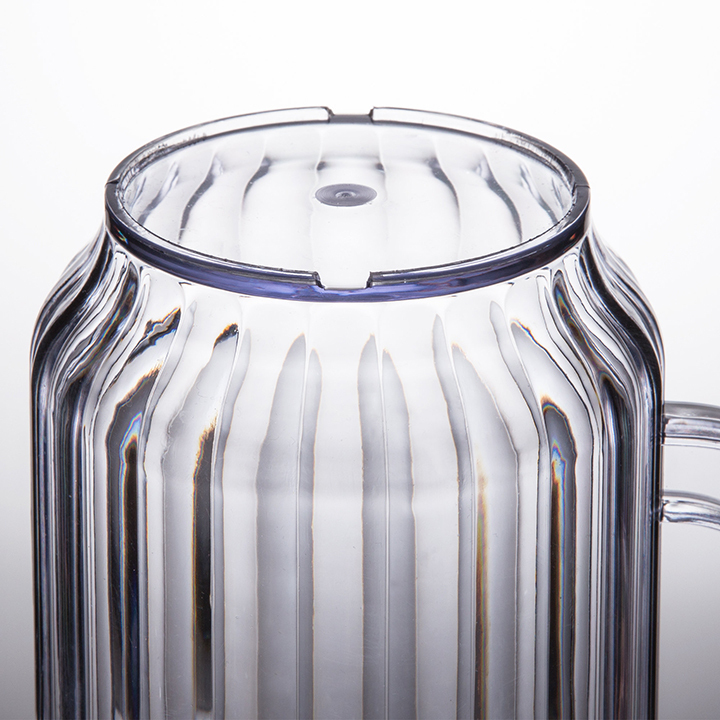 Thanks to the clear material, your guests will easily be able to view its contents. 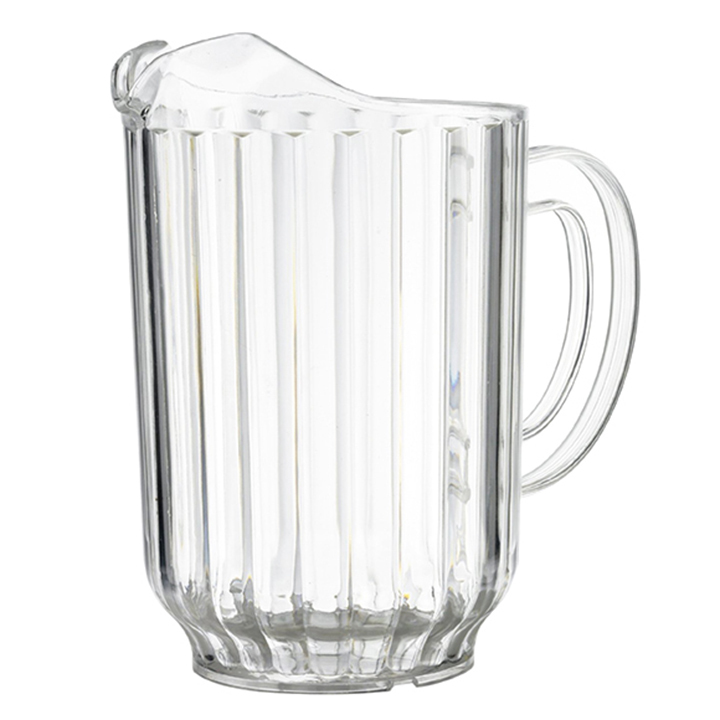 No matter if you are serving juice, water, or another beverage, this pitcher will get the job done and keep everyone happy.